LinkedIn wouldn't be the company it is today without the engineers who built it. We have no shortage of talented individuals in technical roles across the company. They are the ones who create, build, and maintain our platform, tools, and features—as well as write posts for this blog. 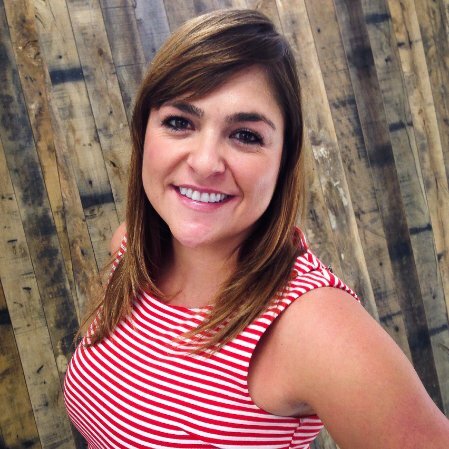 In this series, we feature some of the people and personalities that make LinkedIn great. 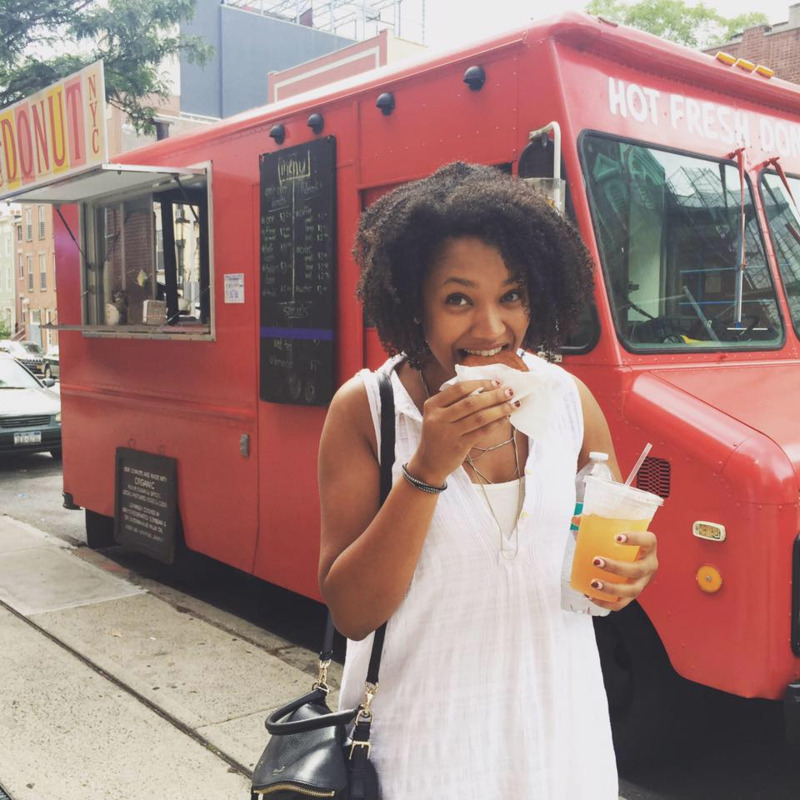 Kamilah Taylor, Senior Software Engineer, has been coding at LinkedIn since March 2012. She also contributed a chapter to the recently-released book, Women in Tech: Take Your Career to the Next Level with Practical Advice and Inspiring Stories, which features insights from several successful female tech professionals. Over the last four years at LinkedIn, Kamilah has worked on multiple projects, including Project Voyager, the complete rewrite and redesign of LinkedIn’s flagship app, and the new LinkedIn messaging experience. She also has winning hackday projects that have become features, such as member-to-member blocking and integration between LinkedIn and Coursera. Kamilah serves as a member of the LinkedIn Accessibility Task Force. She has spoken at several industry meetups and conferences, including IEEE's International Conference for Robotics and Automation, the Grace Hopper Conference, and the Swift Language User Group (SLUG) meetup. Outside of work, she volunteers for many organizations aimed at encouraging more women and people of color to choose STEM career fields, including BlackGirlsCode, the Technovation Challenge, MEDA, and The Palisadoes Foundation. What is something about you not found on your LinkedIn profile? My sister and I read the last Harry Potter book in seven hours! We only had money to buy one copy, so we actually read a single copy at the same time. Luckily, our reading speeds are pretty similar, though every now and then one of us would finish the page before the other and have to wait impatiently. What inspired you to write "Women in Tech," and what did you write about? In the book, I wrote, “One of my ultimate goals in life is to use my passion for science and technology to help correct the imbalance I see in the world.” I really mean that, and when the opportunity to participate in this project was presented to me, I couldn’t resist. I wrote the developer chapter. All of the co-authors’ chapters are autobiographical, and Tarah gave us great guidelines that resulted in a very unique set of stories. We wrote about our lives—how we got to where we are and times when we were at a crossroad. It’s not a lecture or a prescription on how to be a developer, but simply my own story and lessons I learned along the way. What do you hope to inspire in others through "Women in Tech"? When I was in high school and even in university, I didn’t have a lot of examples of what it would mean to have a career in tech, or examples of paths women took in tech. And I most certainly didn’t have a lot of women of color that I could look at and say, “Oh cool, she made it in tech and is doing her thing.” I hope this book inspires and educates young girls who are not sure about what tech is, whether they would want to do it, or survive and succeed at it. You recently spoke at the Silicon Valley Comic-Con. What was that experience like? Surreal. I think I was grinning for the entire day. I’m a huge nerd, so I’ve always wanted to go to a Comic-Con—I never imagined that I’d actually get to speak at one! Our panel was amazing, and although it wasn’t a panel on diversity, it still managed to be a really diverse panel that had great insights on and exciting new directions in engineering, as well as encouraging words for the next generation going into engineering. The icing on the cake was definitely meeting Steve Wozniak after the panel! Some of my earliest computer memories are on some old school Macs—my dad was a huge Apple fan. It was pretty unusual to have an Apple computer in Jamaica back then. 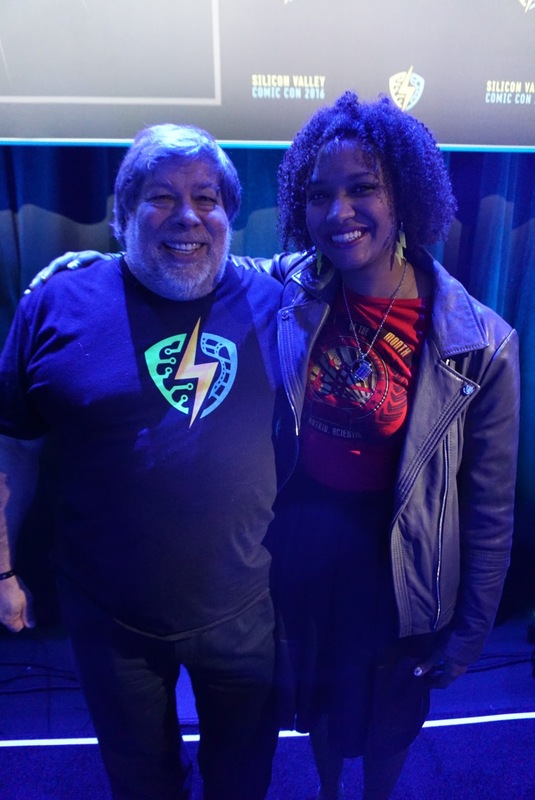 I have really fond memories of playing games on it like Word Munchers, Number Munchers, and Kid Pix, so you can imagine how excited I was to meet the Woz. We talked for about half an hour, and his enthusiasm about engineering and teaching kids was simply infectious. 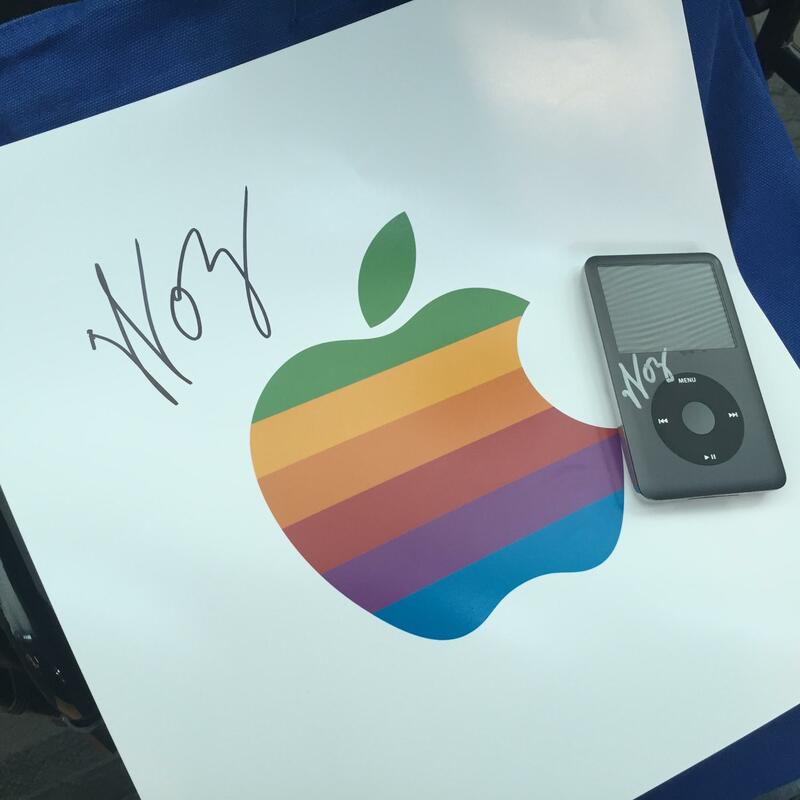 I also came prepared with my classic iPod and the original Apple logo for him to sign. His face lit up at that! What other projects are you involved in outside of software engineering? I do a lot of volunteering and advocacy work to get more underrepresented groups exposed to STEM fields. A couple of groups that I work with are BlackGirlsCode, usually as a Teaching Assistant for the various workshops, and as a Software Engineering Advisor to the Palisadoes Foundation’s Calico program, which is modeled after Google’s Summer of Code and will give students in Jamaica stipends to work on open source projects. I’m also involved in a new project back home, Tech Beach Retreat, which will be a tech conference in Jamaica that brings together a global group of technologists, entrepreneurs and investors. Compared to other places you've worked, how do you like working in LinkedIn? LinkedIn has a great culture, and it’s all about the people—I genuinely love working with everyone here, and I’ve formed some great friendships. I think the other thing that I love, and that I noticed when I first interviewed, is that LinkedIn employees are really passionate about making LinkedIn better and figuring out how our members can get better value from our product. What do you love most about software engineering and what tools do you use every day at LinkedIn? I love how there’s always something new that I have to figure out how to solve—there’s nothing like the feeling you get when you come up with an elegant, simple solution to a problem. I’ve always been a creative person, and software engineering is a very creative field, so it’s a really fulfilling career. Since I mostly work in iOS these days, I of course use XCode every day. I also use Evernote for everything, Google Chrome with way too many tabs open, Slack for talking with the team, and Apple Music or Spotify with a playlist that fits my mood for the day. What are your favorite things to do when you’re not at the office? I try to do some non-software engineering things outside of the office that help me relax and keep me inspired. I’ve played piano for most of my life, so I like to relax in front of the piano or go to the San Francisco Symphony or other musical performances. I also love to travel. When I first moved to California, I spent a lot of time exploring the Bay Area and the state, but now I also try to go to at least one new country every year—plus I go back home to Jamaica a couple of times a year. I still love robots and navigation related problems, so many of my side projects revolve around those areas. Oh, and food! I love eating food, and San Francisco is a foodie’s dream city.